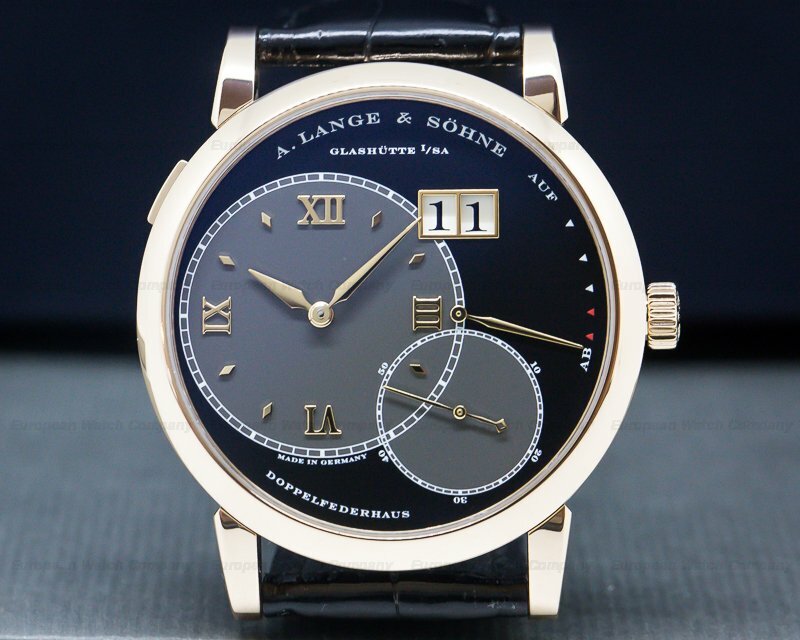 This is an 18K honey gold A. Lange & Sohne Lange 1 Time Zone 116.050. 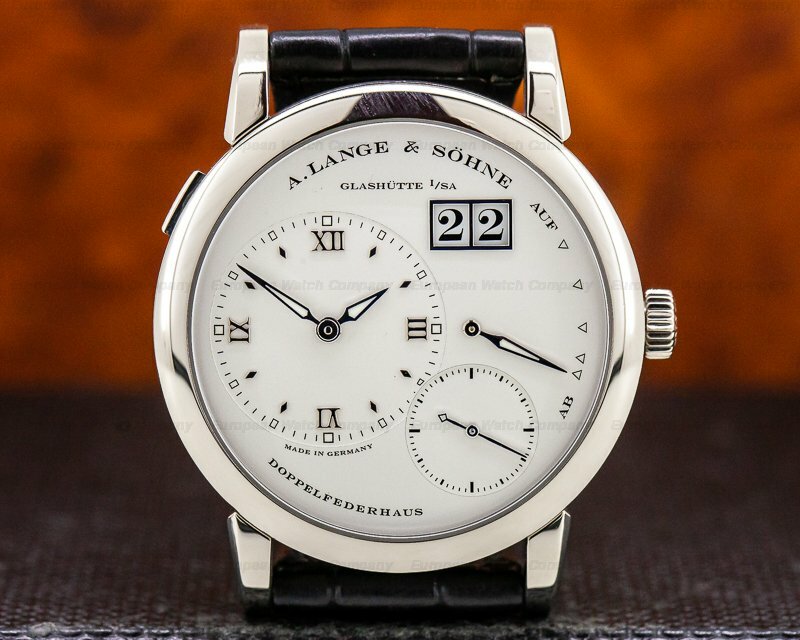 This piece was released in 2016, limited to 100 pieces, and sold only in a. Lange & Sohne boutiques. 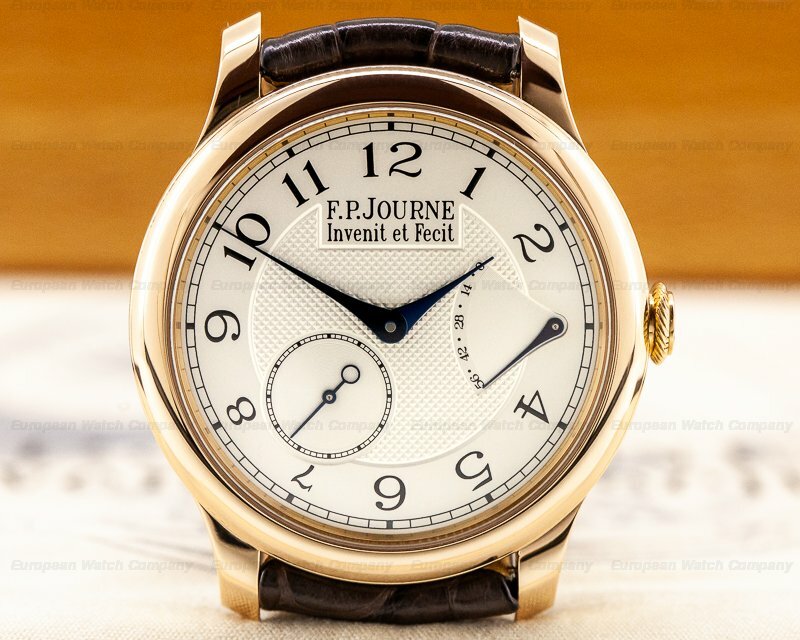 The solid, three-body case, angled straight lugs, and rounded bezel are polished, with rectangular push buttons on the band for advancing the quick date function and the jump-type second time zone. There is an outer GMT revolving city ring on the outside perimeter with the names of 24 cities. Dresden is listed in place of Berlin in the city disc. The sapphire crystal display back has 6 screws and includes the limited edition number. 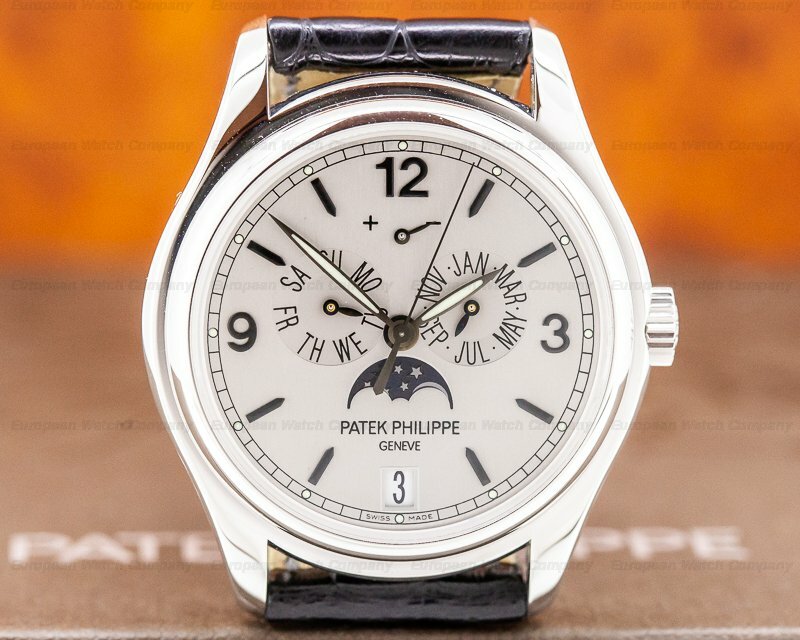 The dial is solid silver, with an offset main dial for local time, which includes a night/day hand at 12 o'clock, and a small seconds sub dial at 6. 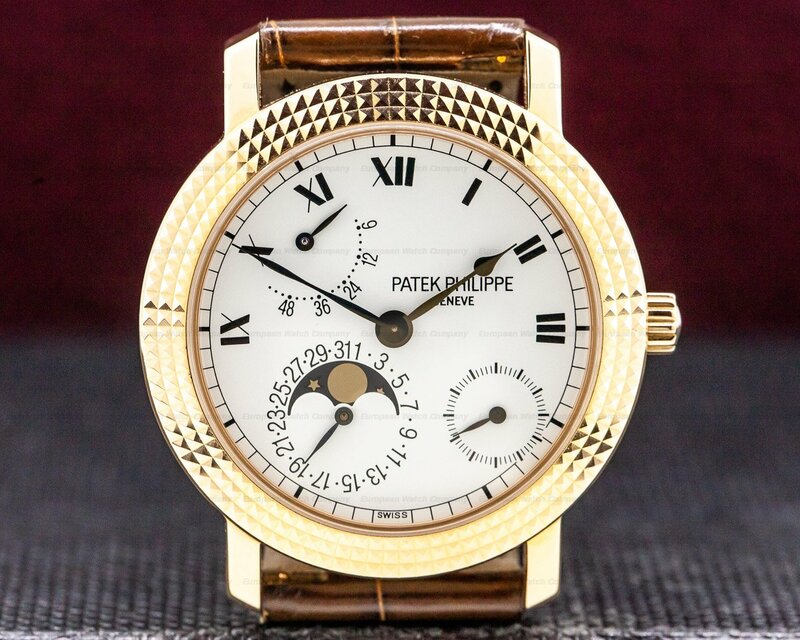 The main dial has applied honey gold Roman numeral and dot hour markers, and honey gold alpha hands for all the indicators. 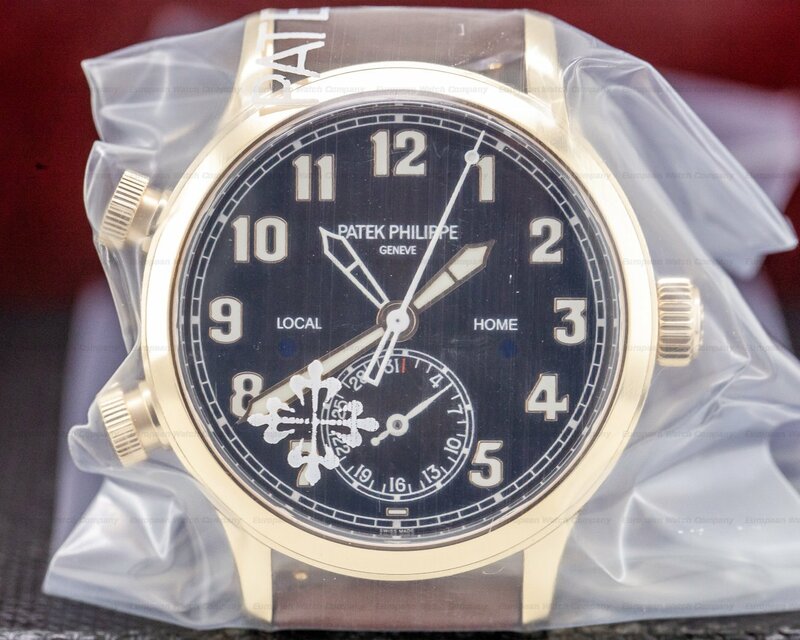 The double window large date is at 1 o'clock, and the up-down 72-hour power reserve sector is at 3 o'clock. The world time subsidiary dial is at 5 o'clock, with an additional day/night dial. It's water resistant, and the alligator strap has a matching 18K honey gold tang buckle. 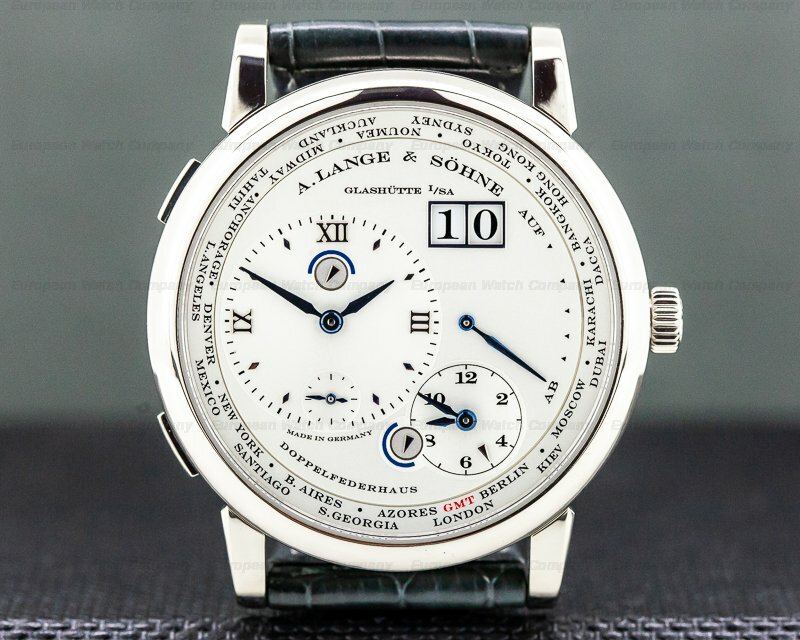 This A. Lange & Sohne Lange 1 Time Zone 116.050 has a mechanical manual winding caliber L 031.1 movement. 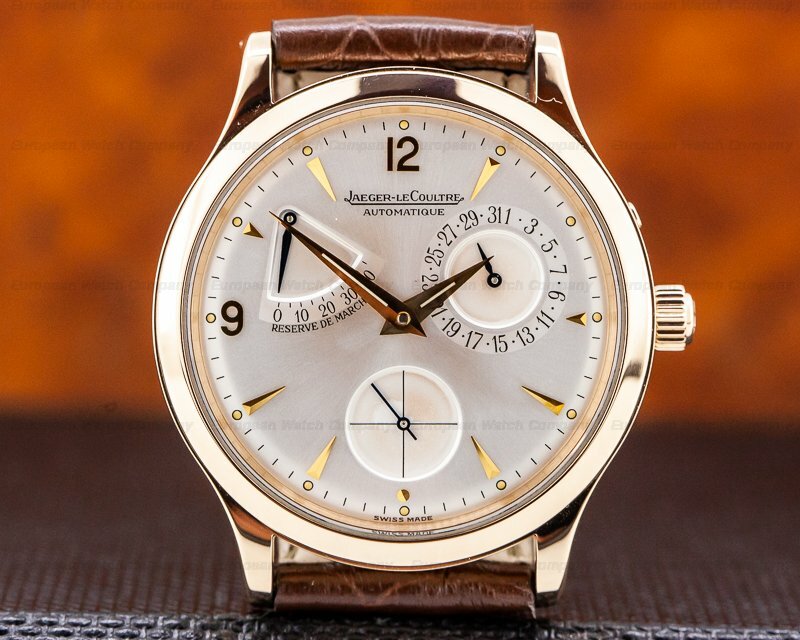 It's made from Glashütte 3/4 plate in German silver, and It's constructed with 54 jewels, 4 in screw mounted gold chatons, and a shock absorber mechanism. 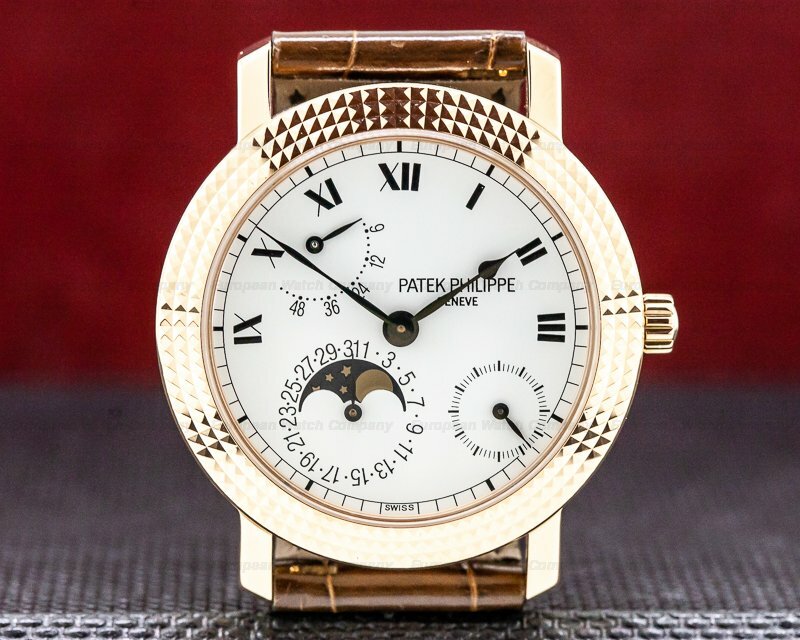 It has a straight- line lever escapement, a monometallic balance adjusted to heat, cold, and 5 positions, and a self-compensating flat balance spring. There is a swan-neck micrometer regulator, and hand-engraved balance and intermediate wheel bridges. The 11mm diameter case, dial, and movement are all signed. 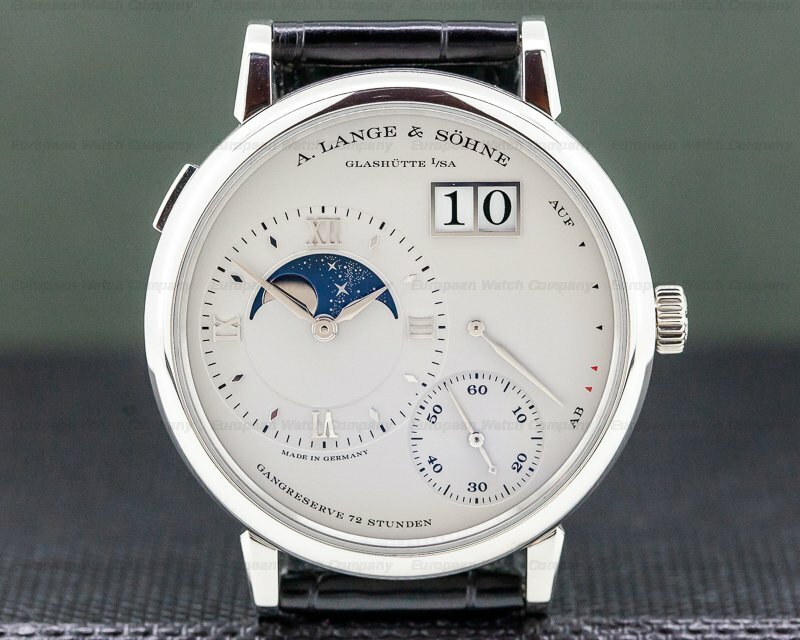 The A. Lange & Sohne Lange 1 Time Zone was originally introduced in 2005.